I ran four years ago because I knew that Baltimore City needed strong champions advocating for our families and communities at the state level. We face huge challenges in Baltimore, but we’ve also made important progress over the past four years. My latest mail piece hits mailboxes this weekend and highlights some of the policies I’ve enacted and championed during my first term. On this cloudy Mother’s Day, I felt fortunate to be able to spend a couple hours doorknocking with my 5-year-old son, Teddy, in our neighborhood. We had fun knocking on doors, talking to our neighbors, and Teddy was a good sport when I showed him how to shake someone’s hand. 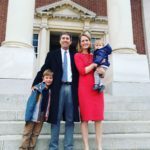 I take being a State Delegate very seriously because I see how fast Teddy and his baby sister Eliza are growing up and I know our kids don’t have a minute to spare – every policy I push, every bill I sponsor, every community I work with – it is all to make sure that our kids have the chance to fulfill their potential. We are springing forward into the final stretch of session – this comingMonday, March 19, is the “crossover” deadline. Any bill introduced in the House must be passed out of the House by midnight on March 19 to be guaranteed a hearing in the Senate. So this is make-or-break week for many bills! It was great to see so many people for our 4th Annual Town Hall this past Saturday! 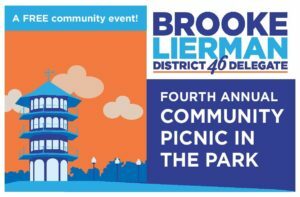 If you missed it, check out my Facebook page – we did a live stream of it and you can go back and watch the video anytime: www.facebook.com/brookeliermanfordelegate. District 46 residents came to learn and ask questions, and I enjoyed meeting some new constituents! Join me at a Town Hall! Please join me and the other members of Team 46 at our Town Hall! RSVP HERE! February 10, 2018 / In Uncategorized / By brookelierman_ergzrn / Comments Off on Join me at a Town Hall! We are off and away! Session is already moving at a rapid rate – I had a hard time deciding what to keep in this newsletter without making it too long… hope you enjoy the highlights below! 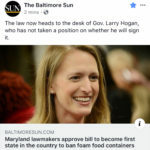 Please remember that I love hearing from you – just email me at brooke.lierman@house.state.md.us or call 410-841-3319.